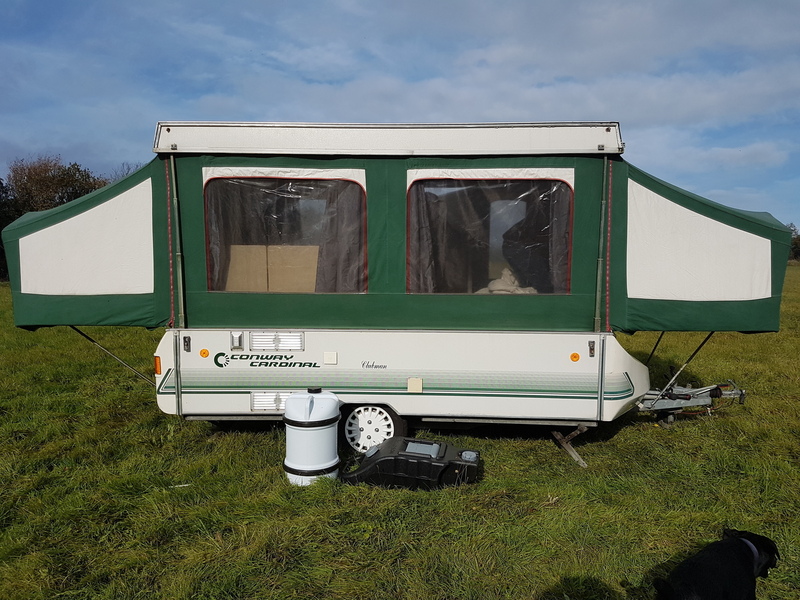 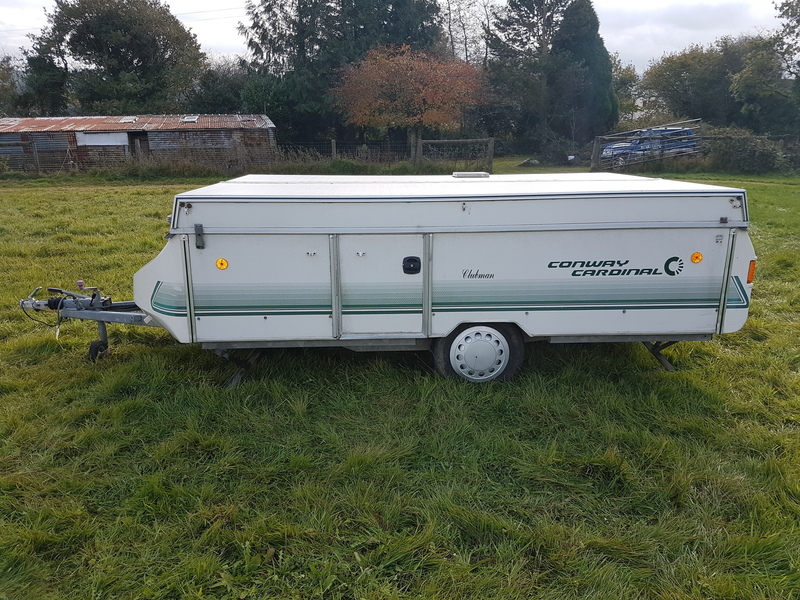 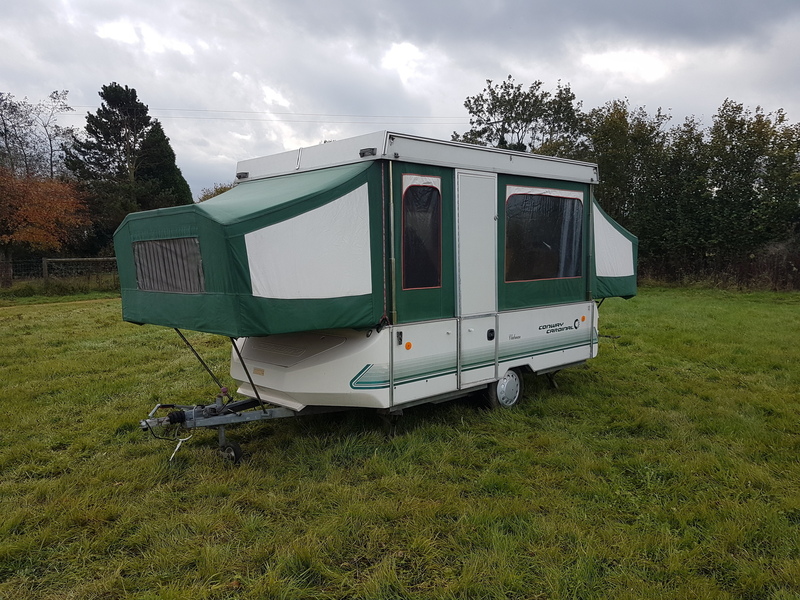 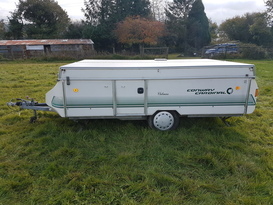 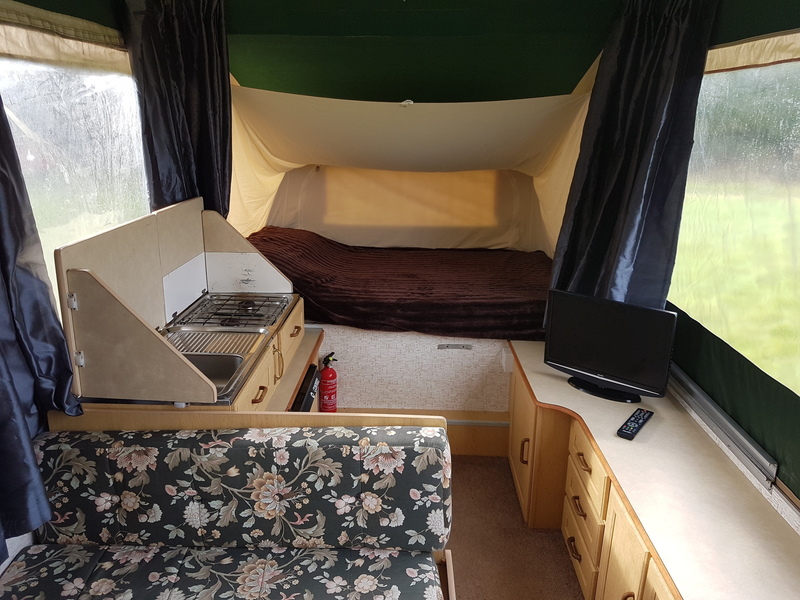 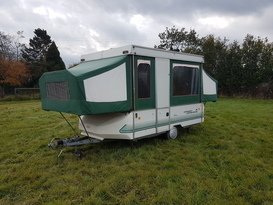 This folding camper has a hard top roof which gives you a caravan type accommodation. 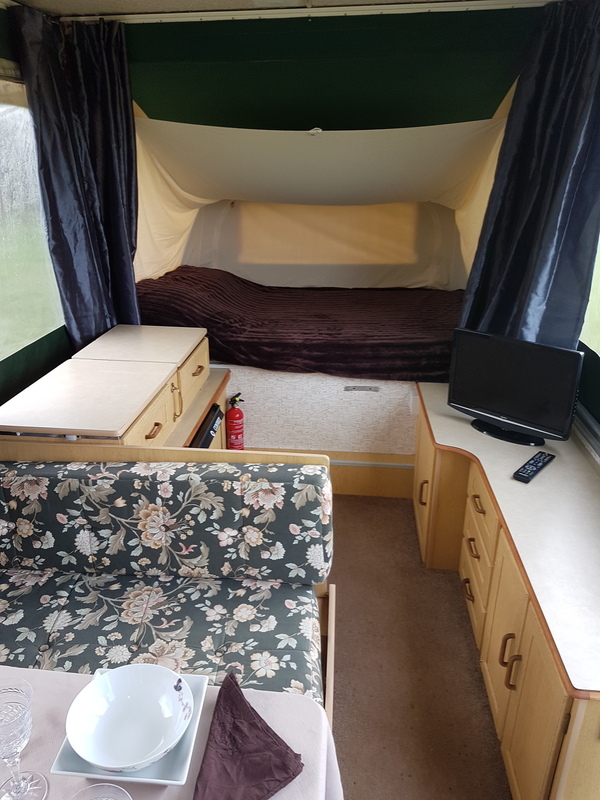 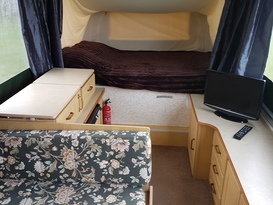 it is very roomy inside and has a lounge and kitchen area and 2 permanent double beds, the lounge area can also turn into a 3rd double bed. 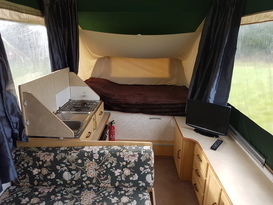 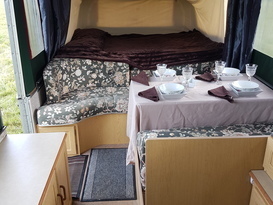 the kitchen has a fridge and freezer compartment, kettle and sink, included with the price is a tv, water barrel, pots and pans, cooking and dining equipment. 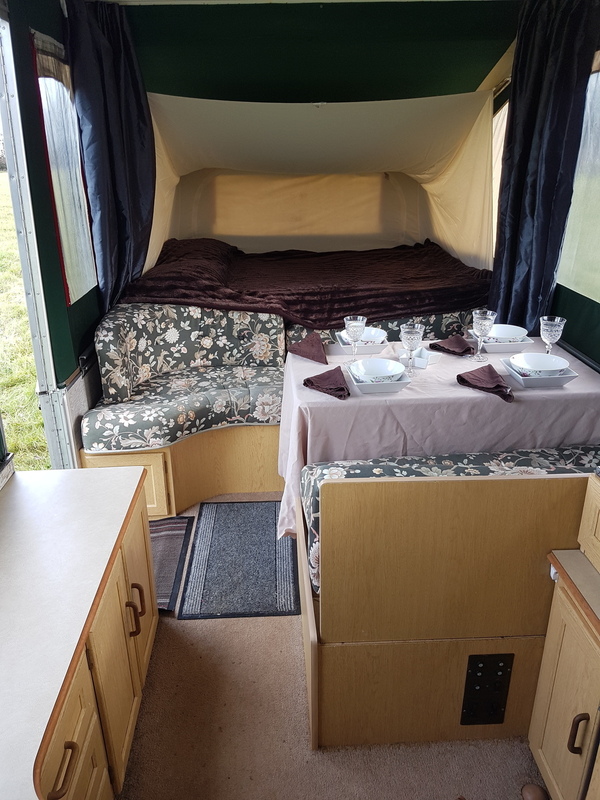 there is also a folding picnic table and for a extra fee we can provide an awning to extend the outside living accommodation. 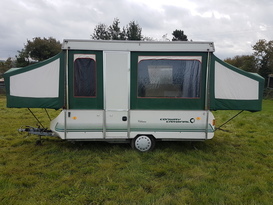 please note as this is Trailer TENT, it has no shower or toilet facilities. must clean inside on return, it must returned as it is found on collection.